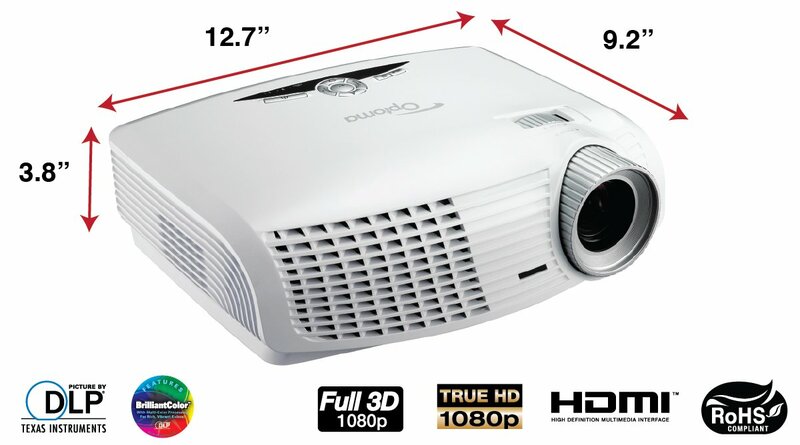 Movie buffs and gamers, get ready for the brand new, Optoma HD25-LV projector! The Optoma HD25-LV entertainment projector is designed to bring your home theater experience alive with high-definition 1080p video, unsurpassed color accuracy, and incredibly sharp detail. Enjoy your favorite movies, video games, television games and sporting events on the big screen with images as large as 301 inches diagonally! With full 3D capability, the HD25-LV HD projector seamlessly integrates with your 3D Blu-ray player, Xbox, PS3 and other gaming consoles for an immersive entertainment experience. Energy saving features and whisper quiet operation make the HD25-LV the best choice for your home entertainment needs. With native 1080p resolution, the HD25-LV delivers stunning images with sharp details. This entertainment projector supports both 2D and 3D projection seamlessly and delivers the excellent lower cost of ownership typical of Optoma products. The availability of 3D content, including video games and movies, is exploding with new titles released every month. The Optoma HD25-LV comes ready to project stunningly crisp 3D images so real, you'll forget you're still at home. This 3D projector supports all HDMI 1.4a mandatory 3D formats: side-by-side and top and bottom formats to allow easy hook up with peripherals to deliver 3D content. 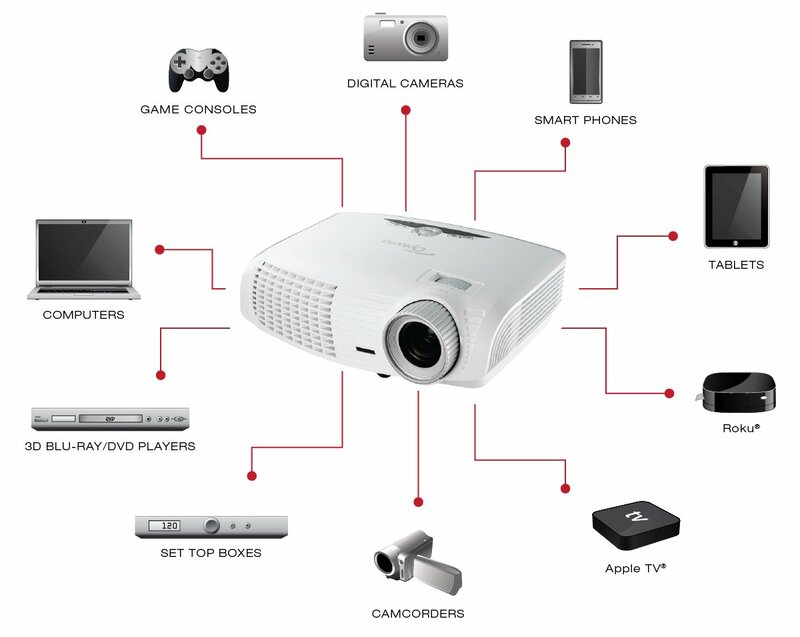 As a full 1080p entertainment projector, the HD25-LV supports all 1080p formats natively. As with all 3D displays, a 3D source (3D Blu-ray player or 3D gaming console), 3D content and 3D glasses are required for 3D entertainment. Optoma RF and/or DLP Link 3D glasses are sold separately. Projectors with Texas Instrument's DLP with BrilliantColor technology feature multi-color processing to produce accurate and vibrant colors on the screen. The Optoma HD25-LV multi-color processing system features a six-segment color wheel coated with an advanced material that achieves superb color saturation and accuracy for extraordinary image quality. In addition, incredibly high native contrast ratios ensure clean and crisp black and white to ensure that text and charts are easy to read. 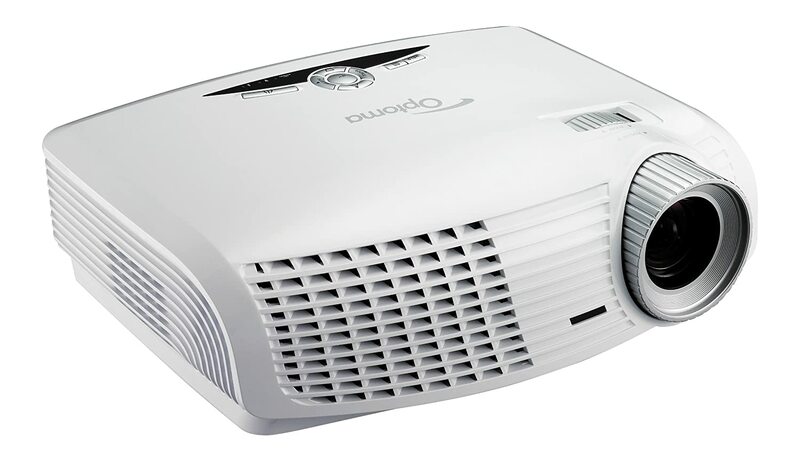 Which Optoma Projector Is Right For You? 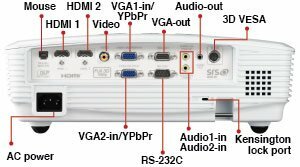 Supports all HDMI 1.4a mandatory 3D format, side-by-side format and top and bottom format (see user manual for details). 3D glasses are needed and sold separately. Supports all HDMI 1.4a mandatory 3D format, side-by-side format and top and bottom format (see user manual for details). 3D glasses are needed and sold separately. Supports all HDMI 1.4a mandatory 3D format, side-by-side format and top and bottom format (see user manual for details). 3D glasses are needed and sold separately. *Lamp life is dependent on many factors, including lamp mode, display mode, usage, environmental conditions and more. Lamp brightness can decrease over time. **3D content can be viewed with active LCD shutter glasses or RF glasses when projector is used with compatible 3D player. See below for link to 3D glasses. Want to Enhance Your Experience with Optional Accessories? 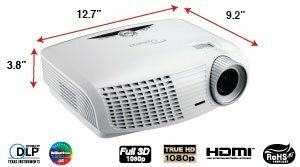 3.9' to 32.8' 37.6" 301.1"
This package includes the Optoma HD25-LV, HD (1080p), 3200 ANSI Lumens, 3D-Home Theater Projector, AC Power Cord, Remote Control, Batteries for Remote, Multilingual CD-ROM User's Manual, and Quick Start Card.